Okay, it’s April 2, time to fess up. Yesterday’s Wild Cards post, the leaked footage and all, was our April Fools prank. 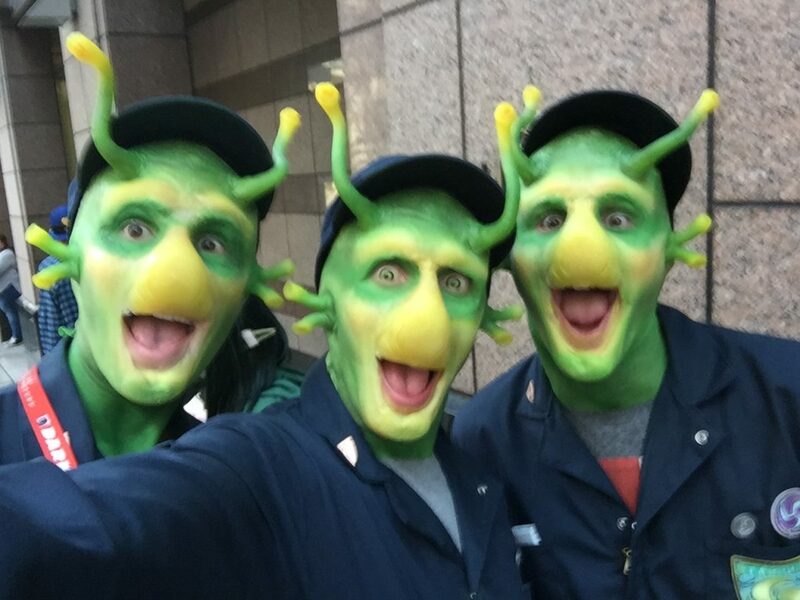 I hope we fooled some of you, and gave you a few moments of fun… or horror. But no, we are not doing Wild Cards as a daytime soap opera. What IS true is that we are developing two shows for Hulu… but we’re still a long way from letting the cameras roll, alas. My thanks to Andrew Miller and his merry band of pranksters, who put together our little jape. And to the talented actors who joined in the deception and helped him work up that fake footage. This was not supposed to go public. Everybody (well, everybody who has been paying attention) knows that we are developing two Wild Cards television series for Hulu. Andrew Miller has taken the reins as showrunner, a writing staff has been hired, and they have been hard at work for months. What was NOT supposed to be known is how far they’ve come. Not only have some scripts been finished, but the first show has gone into production and has been shooting. That was supposed to be a deep dark secret, however. We wanted to surprise the world. It’s hard to keep secrets in Hollyweird, however. And now it appears that some of the rough footage has been leaked by person or persons unknown. Of course, there’s a lot of green screen there. No SFX in yet. Very early days. This past week there was a security breach from one of our very own team members on the Wild Cards set. Although the PA in question was terminated, we were unable to stop the leaked footage from being disseminated online. The premature and largely negative reaction is completely unfounded. As any intelligent Wild Cards fan will know, this footage is raw and incomplete, with a great deal of VFX work still to be done. Not to mention sound, editing, music and color correction. We have pledged to develop the Wild Cards book series into the greatest daytime soap opera ever produced and we stand by that pledge. We know you have likely already seen the footage in question but in an effort to take hold of this unfortunate narrative we present the leaked clips here, unfinished but unashamed. Knowing that you, the discerning fan will be able to see the brilliant potential in what we’re creating. The cast seen in these clips are just a few of the brilliant daytime actors we have lured to our adaptation. Daytime Emmy Award winner GREG RIKAART (Days of Our Lives, Young and the Restless), Daytime Emmy Award winner EDEN RIEGEL (All My Children, Young and the Restless) and multiple Daytime Emmy Award nominee THORSTEN KAYE (Bold and the Beautiful, All My Children). We are so proud of their work and that of our brilliant crew. And are counting the minutes until we’re able to share the final results with you… Every single afternoon at 1pm. 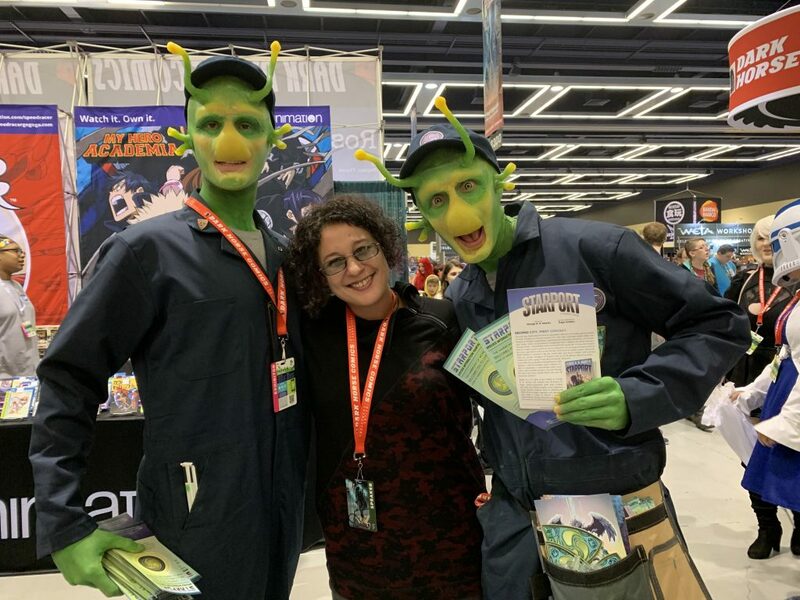 My friend, minion, and collaborator Raya Golden has been blitzing the Pacific Northwest this week, promoting her graphic novel STARPORT, based upon an unproduced pilot of mine from 1994. Raya did the adaptation and the art. She started out at the Emerald City Comicon in Seattle, where she was joined by a couple of buds of the Lobh. 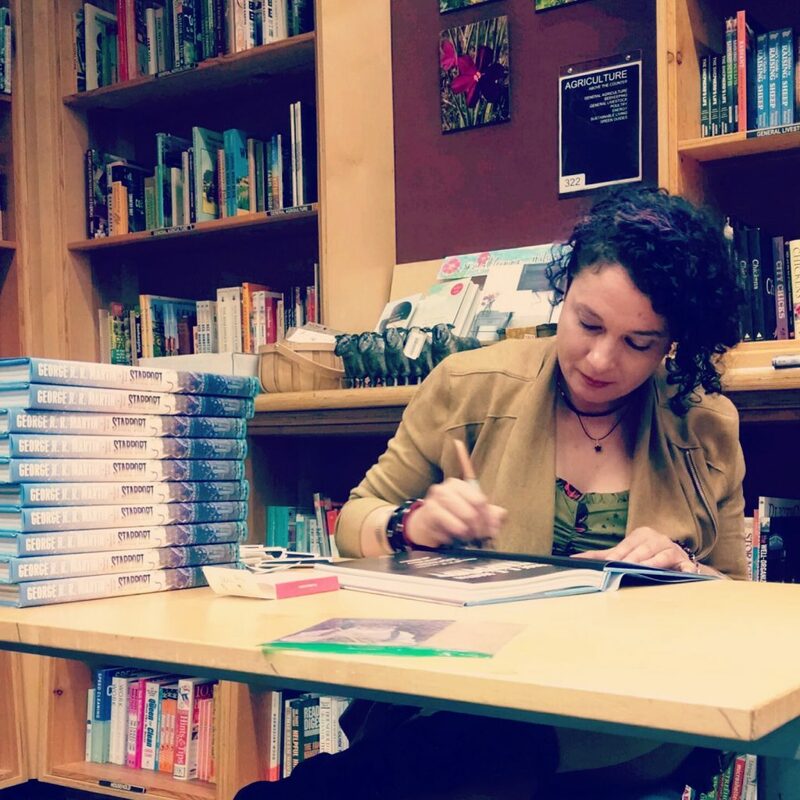 After the con, she headed down to Portland, to sign copies at Powell’s, surely one of the great bookstores. (I have signed at Powell’s myself in years past. My name is scrawled on one of their pillars, amongst all the other writers who have had signings there). STARPORT is now available from your favorite bookstore or on-line bookseller. It’s one of my favorites of my unproduced pilots, and Raya did an amazing job with the adaptation. If you like SF, give it a try. Oh, and where was I, you ask? Why wasn’t I with her? Well, I’ve been busy at home. Hey, hey, hey. It’s March 12… publication day! 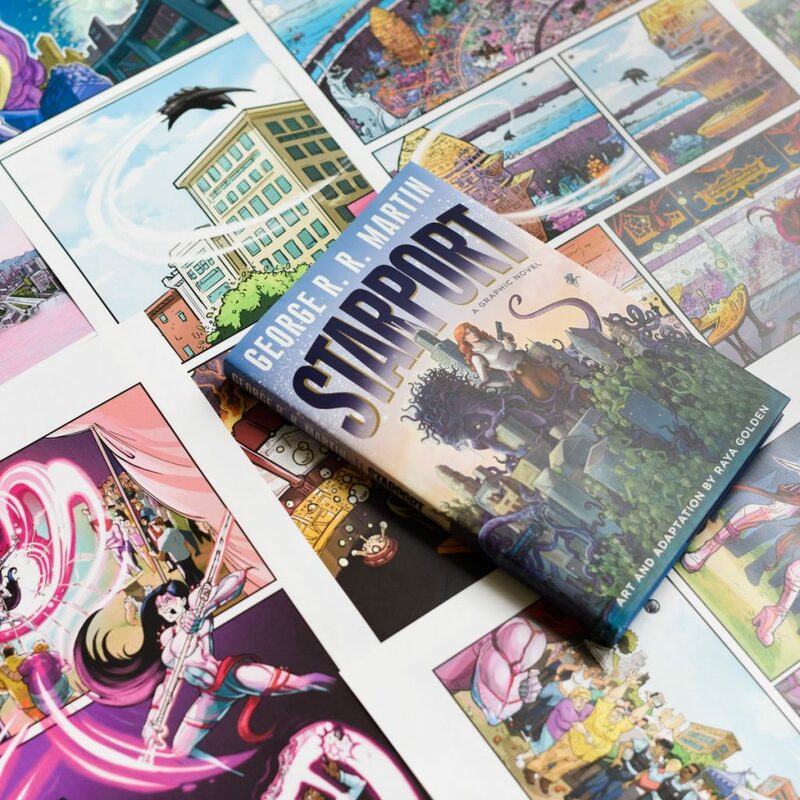 STARPORT is now available for order from your favorite online bookseller, and it should be on the racks at your local comics shop or brick ‘n mortar bookstore. Buddy Lohb, the Topman, Staako Nihi, and children of the endless night await you in Starport Chicago. (For those who missed my earlier blog post, I am of course talking about the new graphic novel from Bantam (in the US) and HarperCollins Voyager (in the UK), adapted and illustrated by Raya Golden from my teleplay). The eighth and final season of HBO’s GAME OF THRONES will be upon us in April. HBO has just released a new trailer. A million years ago when the world was young and dinosaurs roamed the Earth, I spent the best part of a decade working in Hollywood. In television, mostly, though I did a few feature scripts as well, for films that never got made. 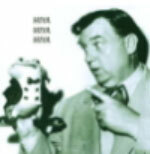 My television career began on the CBS revival of THE TWILIGHT ZONE, along about 1985-1986. After that I wrote a couple of MAX HEADROOM scripts, but they never got made either. The show was cancelled when one of them was still in pre-production. Then I spent three years on BEAUTY AND THE BEAST. Not the recent one, of course, the first one, the good one, with Ron Perlman and Linda Hamilton and Roy Dotrice and Jo Anderson and Jay Acovone. 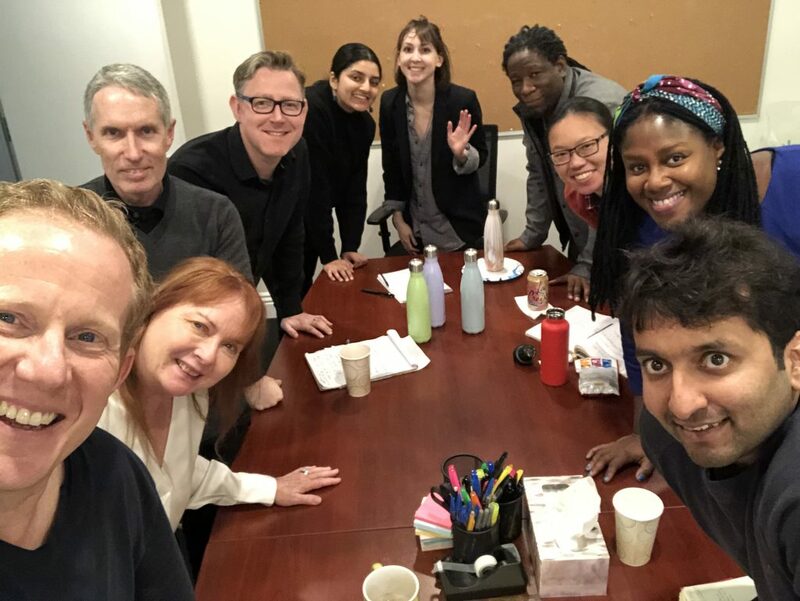 By the time B&B wrapped up I had climbed the television ladder from freelancer to staff writer to story editor to executive story editor to co-producer to producer to co-supervising producer to supervising producer, and was in line to be showrunner. But B&B got the axe too before that could happen. But I’d now accumulated enough credentials and credit to take the next step, and I moved into development, pitching ideas for shows of my own and writing pilots. In Hollywood they call it “development hell,” and for good reasons. You work just as hard, you make even more money, you pour your sweat and blood and tears into your creations… but most of what you create never gets aired. I stuck it out for five years, pitched more series concepts than I can count, and wrote a half-dozen pilots, everything from a medical show about the CDC (BLACK CLUSTER) to an alternate world adventure called DOORWAYS, the only one of my pilots that was actually filmed. We did that one for ABC and they loved it, enough to order six back-up scripts in anticipation of a series order. The scripts were written, but the series order never came, and DOORWAYS died unborn, like the rest of my pilots. Not long after that I left television. I had an overall deal at Columbia, I was making good money, but I’d had enough of development hell. There were things about working in television I liked a lot, but spending a year or more developing a world and creating characters and writing and rewriting and rewriting and rewriting a pilot for four guys in a room (sometimes three guys and a gal) that the world never got to see… that was not for me. I wanted an audience. Needed an audience. Writing scripts for TZ and B&B, that was one thing. Hard, challenging, stressful, demanding work, but at the end of the road the cameras rolled and a few weeks later millions of people were watching what I’d written. The audience might like it or hate it, but at least they got to watch it. Writing for the screen, be it the small screen or the big one, that’s fun. Writing for a desk drawer, not so much. 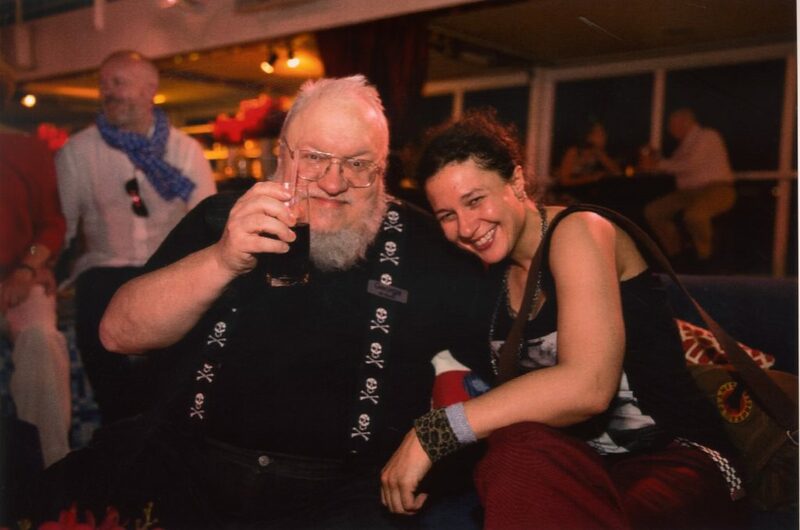 So I put Hollywood behind me and returned to an unfinished novel I’d begun in 1991 and shelved for a few years because of film and tv deadlines, a book called A GAME OF THRONES, and… well, you all know how that turned out. Which brings me back to STARPORT. STARPORT was one of those pilots I wrote during my years in development hell. In some ways it was my favorite. When pitching a television series, there is a certain shorthand where you describe your new show by comparing it to existing shows (preferably successful ones). Gene Roddenberry sold STAR TREK as “Wagon Train to the stars.” HBO bought GAME OF THRONES as “the Sopranos in Middle Earth.” I knew how to play that game too, so I pitched STARPORT as “HILL STREET BLUES with aliens.” The idea was that, in the very near future (that would have been the late 90s, since I wrote the script around 1993-94), a great interstellar civilization called the Harmony of Worlds decides that humanity has finally advanced sufficiently to be admitted to the ranks of civilized races, and reveals themselves to us. After first contact, they build three great starports for purposes of trade and diplomacy: one in Singapore, one in Copenhagen, and one in Chicago… out in the lake, where Mayor Daley always wanted to build an airport. But the focus of the show was smaller than that: our viewpoint characters would be the cops and detectives of the police division closest to the Starport, who suddenly had to deal with all sorts of strange aliens coming and going, and with the sorts of problems they had never previously imagined. It was a fun show to write. Fox wanted a 90-minute pilot, which was all the rage back then. My first draft came out closer to two hours, so of course I had to go back in and cut a lot of stuff, but that was pretty much par for the course for me. My first drafts were always too long and too expensive. The development process was pretty much the old Hollywood cliche: they loved it, they loved it, they loved it, they decided to pass. We shipped it around to other networks, but there were only four back then, so finding a second buyer was a long shot. No dice. STARPORT went in the drawer. Years later, I included one version of the script in QUARTET, a small press collection from NESFA Press to mark my being GOH at a Boskone. But aside from that, the story remained untold. Enter RAYA GOLDEN. My friend, my minion, the art director for my Fevre River Packet Company, and a very talented comic artist in her own right. A few years ago she adapted “Meathouse Man,” one of my darker and more twisted short stories, as a comic. It earned a Hugo nomination in the Best Graphic Novel category (did not win, alas). But she was only warming up with that. Afterward I gave her a much bigger challenge: STARPORT, both drafts. And she’s been hard at work at it for the past two years, adapting the teleplay to comics format, fixing all my dated 90s references (the jokes about VHS tapes did not work so well any more), and penciling and inking it. It’s huge fun. And now, at long last, it’s almost here. 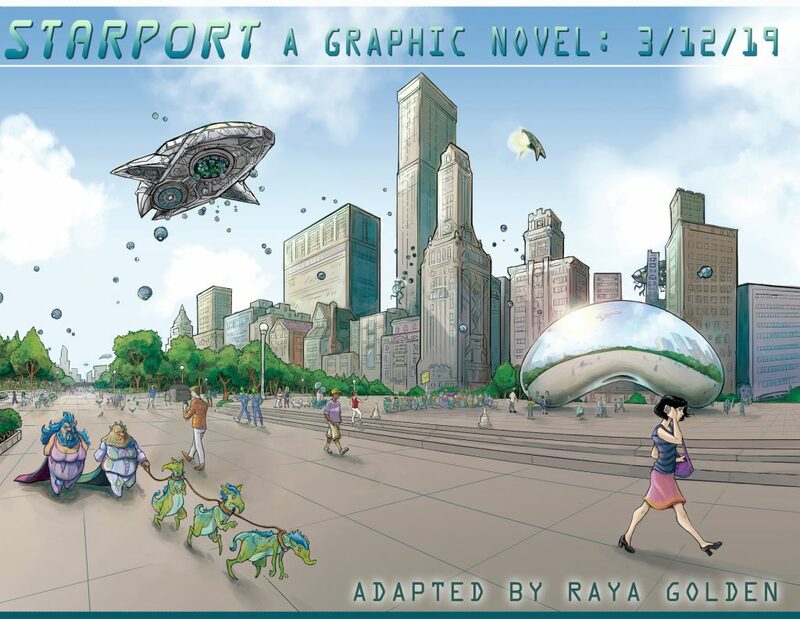 Random House and Harper Collins will be releasing the graphic novel of STARPORT next week, on MARCH 12. (I am amused to note that “Hill Street Blues with aliens” is now too dated, and has been replaced by “Law & Order meets Men in Black.” The more things change, the more they stay the same). Eventually, we will also have signed copies available for sale from the bookshop at my Jean Cocteau Cinema. I hope you all enjoy it. For my part, I am thrilled that one of my orphan children has finally escaped the desk drawer to wander out into the wide world. If the book does well enough, I can see the possibility of further issues of STARPORT down the road. And who knows? Maybe someone will even want to turn it into a television series. Anyone who has ever worked in a Hollywood writer’s room knows that lunch is a big part of the day. The writers on Hulu’s new WILD CARDS shows are bellying up to help. HBO has announced the premiere date for the eighth (and final) season of GAME OF THRONES. Mark it down on your calendars: APRIL 14. Nominations are now open for the 2019 Hugo Awards, to be awarded this August in Dublin at the Irish Worldcon. 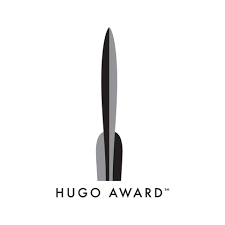 The Hugos (as most of you know) are the oldest and most prestigious award in science fiction and fantasy. They’ve been giving them since 1953, and the list of winners… and nominees… is a Who’s Who of our genre. 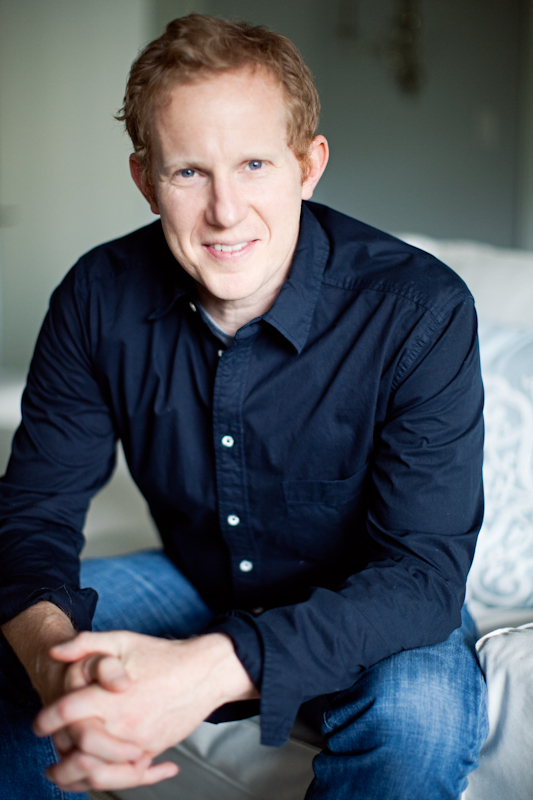 Dublin 2019 will also be presenting the John W. Campbell Award for best new writer, which dates to 1973, and the brand new Lodestar Award for YA fiction. It is a huge honor to win a Hugo… and almost as great an honor to lose one. I should know. I’ve won a few, lost a lot more, and in 1976 Gardner Dozois and I started the Hugo Losers Party. (It still feels like a punch in the gut to type Gargy’s name, knowing he is gone). To nominate, you need to be a member of either Dublin 2019 or last year’s worldcon, Not ConJose II. Paper ballots are available for those who want them, but these days most voting is electronic. Worldcon members will be sent a link to the nominating ballot by email. Nominations close on Friday March 15. My most recent Hugo wins — and losses — have been in the Dramatic Presentation categories, where GAME OF THRONES has been been a strong contender. 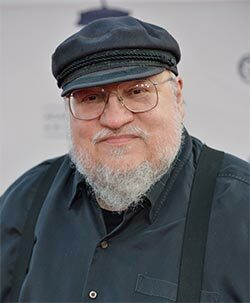 However, there were no episodes of GOT telecast in 2018, so the show is not eligible this year (the seventh season was shown in 2017, and the eighth and final season debuts this April). As it happens, however, I have another series for your consideration: NIGHTFLYERS, SyFy’s sf/horror series based on my 1980 novella (a Hugo finalist, and Hugo loser, in its day), all ten episodes of which were shown between December 2 and December 12. I expect the competition to be very tough in Dramatic Presentation, Short Form this year. This is a golden age for science fiction on television. Not all that long ago, we were lucky to have one or two genre shows worthy of nomination, but today, in this age of max tv, there are science fiction and fantasy shows everywhere you look — on the broadcast networks, on cable, on the streaming services. Recent winners THE GOOD PLACE and THE EXPANSE both had new episodes in 2018. Fans of superheroics had the Marvel shows on Netflix and the DC shows on the CW to choose from. Zombie lovers had THE WALKING DEAD and Z NATION. Lev Grossman’s THE MAGICIANS had a fun third season. If starships and aliens were your thing, there was a new STAR TREK show and Seth McFarlane’s THE ORVILLE. And of course there is always DOCTOR WHO, a perennial powerhouse, this year with a brand new Doctor, the thirteenth. I’d be very surprised if there were not at least two episodes of DOCTOR WHO on the final ballot (recent rules changes make it impossible for there to be more than two). I’ve undoubtedly forgotten some other shows as well, and there may well be British and Irish shows of which I am entirely unaware… there’s just so much out there, that even someone deeply involved in television on a professional basis, like myself, cannot keep up. I would like to recommend one series that has never been nominated, but IMNSHO deserves to be: OUTLANDER, based on Diana Gabaldon’s bestselling novels. I have a feeling that Hugo nominators tend to overlook the series because they think of it as a historical or a romance rather than science fiction. It IS both those things, of course, but it is also a time travel show… and more importantly, it’s superb. Amazing production values, well written (and quite faithful to Diana’s books), well directed, and well acted. The cast is doing fantastic work, especially the leads. If you haven’t watched OUTLANDER, you should check it out… and nominate your favorite episode, if you like it as much as Parris and I do. Whatever you watch, whatever you like, NOMINATE. It IS a singular honor just to be nominated, and far fewer people nominate than vote on the final ballot, so this is your chance to let your voice be heard. I will talk about some of the other categories in subsequent posts, over the next few weeks.